Stock Android experience for price-conscious users. The Spanish smartphone manufacturer BQ is known for a slim UI very similar to stock Android. The Aquaris U2 is no different in this regard. While utilizing only average hardware, the low-priced mid-range smartphone had a surprisingly good performance in our test - at least in some areas. Positive: Great built quality; low price; nice design; decent performance. 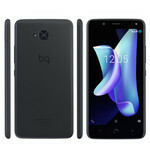 Model: The BQ Aquaris U2 is an entry-level smartphone for a low price. The advantages of the smartphone include the battery power, the solid display and the support for dual-SIM. However, it does not have a fingerprint scanner. For the build quality, BQ’s DMA Control methodology covers all the development phases of a device (design, manufacturing, and assembling) thereby ensuring the quality of our smartphones. The LCD screen measures 5.2 inches diagonally and presents content in simple HD resolution with 720 x 1,280 pixels. The Aquaris U2's screen surprises with its 2.5D finish, its edges that have been reduced to an absolute minimum and its 5.2 inches in which the pixels shine like never before. Added to this, the protector made of highly resistant glass affords the screen an all-terrain quality. Although the resolution is sufficient, if user pays attention, they will notice the sharpness difference to smartphones with Full HD -screen. The color representation is quite neutral, the brightness very good so that the screen can be read well even under sunlight. 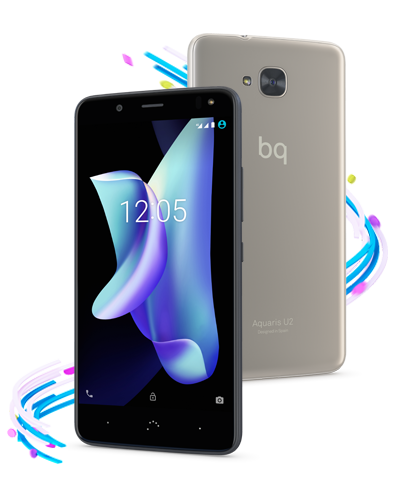 The camera of the BQ Aquaris U2 snaps images in 13-MP resolution, a LED flash and autofocus are installed. The camera draws pictures softly, which reduces the detail. The front camera triggers with 5 MP. For selfies in dim light, a front flash is installed. The camcorder films in FULL HD resolution and at 30 frames per second. The camera also has special features such as slow-motion and time-lapse effect, as well as the face-recognizing face-beauty mode. As for hardware, a user has the Snapdragon 435 processor with 8 cores that yields up to 1.4 GHz and an Adreno 505 GPU, all with 2 GB of RAM. It performs well for the specification thanks to little to no modifications to the software. Users can work with multitasking and play less resource demanding games because everything performs reasonably well. Thanks to its 3100 mAh LiPo battery and a careful selection of energy efficient components, users will get the most out of the Aquaris U2 without having to charge it all the time. However, when a charge is needed the Qualcomm Quick Charge 3.0 feature will send the battery level from 0 to 100 % quickly, within a good 134 minutes. The audio's richness and nuances are appreciated thanks to the smart amplifier built into the speaker and to the Bluetooth aptX codec, which delivers maximum sound quality to headphones or wireless speakers. Purchasing is now more convenient with NFC technology on the phone. A user can pay securely and easily with this mobile, there's no need for a wallet. 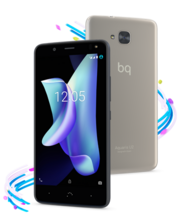 The Aquaris U2 also has Dual Band WiFi (2.4 GHz and 5 GHz) for faster connections, Bluetooth 4.2 and a Galileo-compatible navigation system. 75.93%: This rating is not convincing. The laptop is evaluated below average, this is not really a recommendation for purchase.